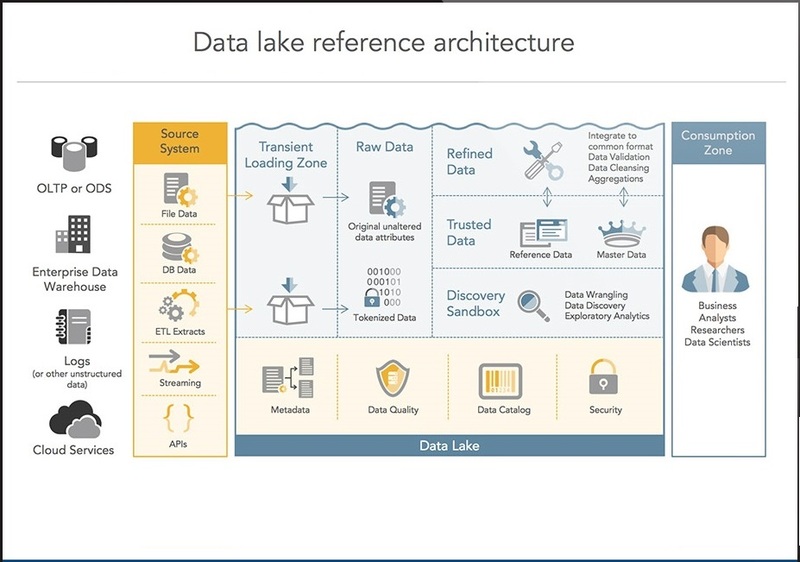 A data lake is a method of storing data within a system or repository, in its natural format, that facilitates the collocation of data in various schemata and structural forms, usually object blobs or files. 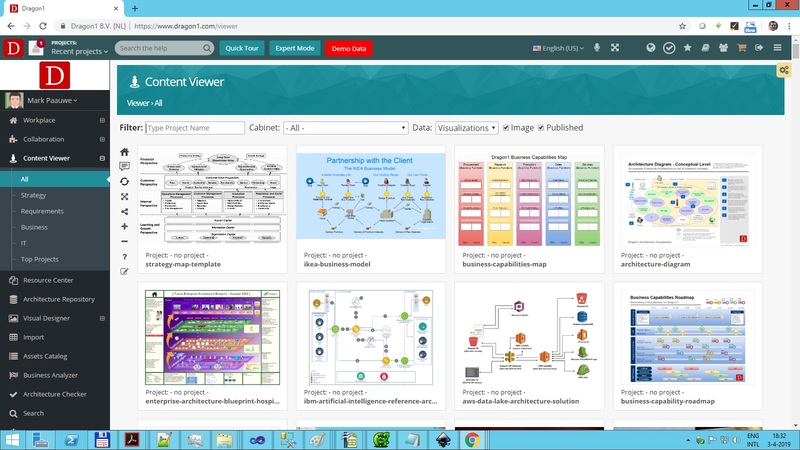 Here on Dragon1 you can, with one click of a button, create a data lake architecture visualization. Next, adjust the template to your situation. 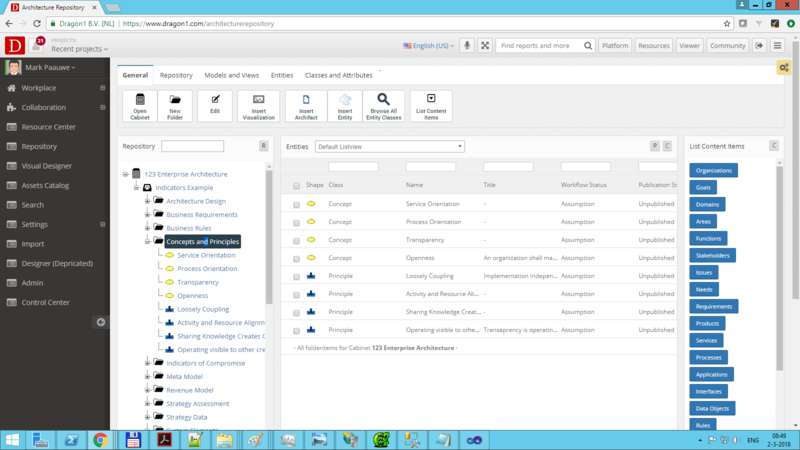 Or you can start from scratch and make use of the data lake building blocks / symbols to create your unique data lake architecture within a few moments. 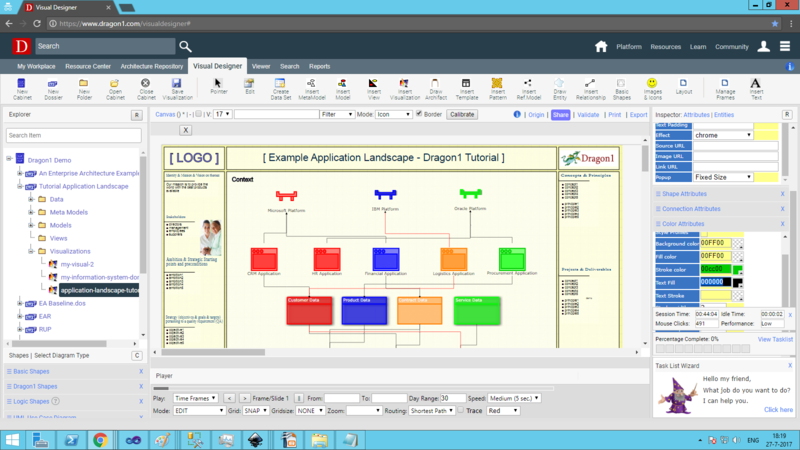 We have provided the Zaloni Data Lake Reference Architecture as a template for you on Dragon1. This picture shows a Data Lake Architecture. 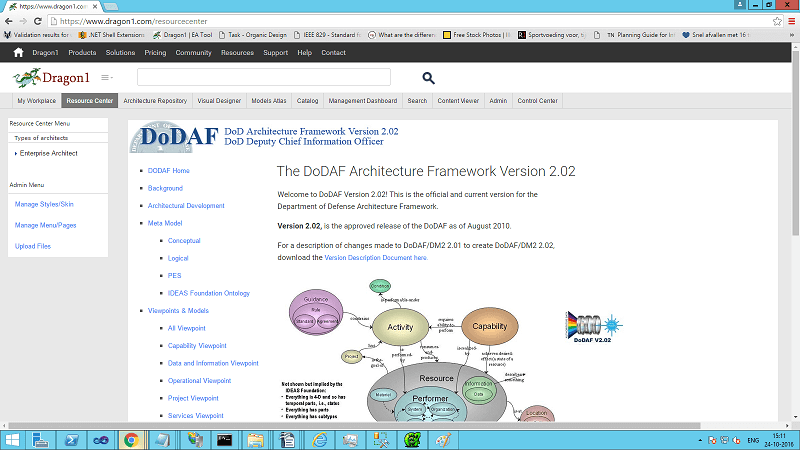 You will create this architecture by using one web application on Dragon1: The Visual Designer. Watch the content created by you or others. Place comments onto the visualizations. Search, compare, trace and filter visualizations.